We take pride in our workmanship and quality. We strive to make you, our customer, happy with your decisions. Let Sunkist Pools design your backyard environment. Select your pool, spa, energy efficient equipment, decking material, products, lighting, solar systems, water features, fireplaces, fire pits and BBQ's: everything. We use the most recent computer aided design software made specifically for designing swimming pools, spas, decking and landscaping. By using these tools we can design and show you what the finished product will look like in a 3D virtual tour. We come to your location and show this to you so that you can make any changes that you would like before we begin working. This helps you keep the cost of building your dream at a reasonable price. 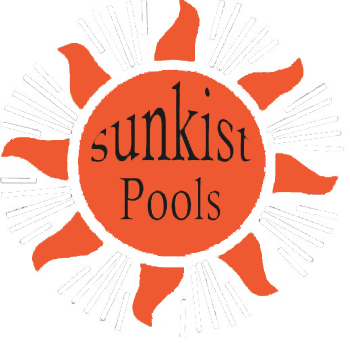 Sunkist Pools is the areas leader no matter what your needs may be: replastering, decking, equipment, self cleaning systems, lighting, etc. Quality at affordable prices. If you have an existing pool or spa and would like to get it looking nice again or just to update the equipment to make it more eco-friendly, then give us a call. We use the same services in our remodeling processes and can help turn that eye soar into something you will be proud to show off. Let Sunkist Pools design you backyard environment with you every step of the journey. Select your pool, spa, energy efficient equipment, decking material, products, lighting, solar systems, etc. We can help you choose all the products that you will want or need to make owning and using your your pool or spa a dream.